Split is a famous city for its cultural history and other sightseeing, and therefore attracts many tourists who admire its beauty. While you are in Split, you'll have a lot to see, but why not visit the other famous cities and their attractions on a day tour. 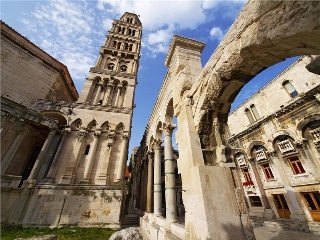 Check out our inspirational itineraries to specialist guide tours with expert guidance from Split Day Tours. Explore fascinating historical attractions and ancient sites many of which are listed in UNESCO heritage list through some of our specially designed historical tours. No visit to the city of Split is complete without a trip the croatia’s most famous landmark – the city of Dubrovnik, or even going bit further, to the neighboring country of Bosnia and Herzegovina and learn about Medjugorje apparitions.